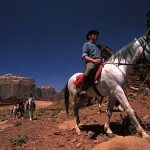 A horse trek for the experienced rider, one who loves the wide open spaces and freedom! Canyons, plateaus, sand dunes, all provide the background for the most spectacular bridal paths. 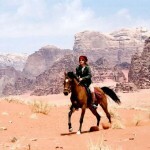 This tour offers the best riding in Jordan – running parallel to the famous King’s Highway the tour includes, the crusader castle of Shoubak, the mountains of Little Petra, the Red Rose City of Petra, and the legendary Wadi Rum mountains.